Dynaudio Xeo 2 review | What Hi-Fi? 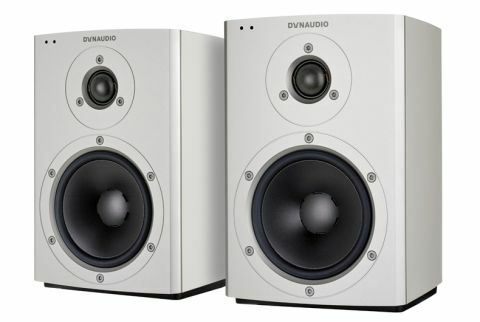 If Dynaudio ran a TV commercial for the Xeo 2s, we imagine ‘more than just speakers’ would be somewhere in the tagline. And, unlike the products that ride the popular slogan, there’d be some truth behind the marketing hyperbole. With digital amplifiers, DACs and Bluetooth receivers built-in, the Dynaudio Xeo 2 active speakers should be seen as more of a system; as four (possibly five) hi-fi boxes in two. When you look at it that way, £995 doesn’t seem as much for these little things now, does it? The idea is simple: just plug both speakers into the mains and add a source – whether that’s a smartphone or laptop connected via Bluetooth, or a TV or hi-fi component plugged into one of the Xeo 2s 3.5mm, RCA or optical inputs. Connect via digital optical and the Xeo 2 speakers support files up to 24bit/192kHz, so hi-res audio and network playback from a connected streamer like the Pioneer N-50A or Bluesound Node is possible. Alternatively, the optional £295 Dynaudio Connect box can bring wi-fi onboard the Xeo 2s for DLNA and Spotify Connect compatibility, plus USB (with support up to 96kHz) and coaxial (to 192kHz) inputs. Neat, huh? That’s what we thought in 2014 when awarding their big brothers, the Dynaudio Xeo 4 speakers (£1775), five stars for their versatility and so-good-we-can’t-believe-it’s-wireless audio performance. Dynaudio set out to design the Xeo 2s as a more affordable, desktop-friendly version, but although they indeed succeed in fulfilling the same promise in a smaller package, a few changes had to be made along the way. An all-new 28mm soft dome tweeter and 14cm Magnesium Silicate Polymer cone driver are each driven by 65 watts of digital Class D amplification – up from the Xeo 4’s 50 watts. While in theory that sounds like more power from a smaller footprint, the greater wattage is actually to balance out the much smaller cabinet volume. How small? 25cm tall and no deeper than the width of an outstretched hand, each box can be carried comfortably under an arm. That means they don’t require a particularly large desk when used in a stereo set-up – or even one at all if you purchase the Dynaudio’s dedicated footstand or wall bracket. The choice of colour is still between black and silver, but without the premium look or feel of the Xeo 4’s lacquer coating it’s reasonable to feel a little short-changed when it comes to design. Still, the satin finish and aluminium baffle are, if not particularly head-turning, smart and immaculately applied. We like the control integration too: flush touch buttons on the top, with the baffle sporting two small LED indicators. Pressing ‘O’ switches on the speakers, and holding down the plus and minus volume buttons, initiates Bluetooth pairing. It really couldn’t be simpler. During wired connectivity, the Xeo 2s automatically scan the inputs for a signal, though there is also an intuitive, well-marked remote for manual selection too. You can tweak the EQ settings to suit the speakers’ position in the room, but even with ‘wall‘ activated, we found they hit the best balance with at least 10cm of space behind them. There, tonality occupies neutral territory and detail spreads evenly in a soundstage you’d think would belong to boxes twice the size. Like the shortest player on a basketball court, the modest boxes go out with something to prove, affording music scale and authority in abundance. Is wireless sound a compromise? Usually yes, although the Dynaudio Xeo 2 speakers sound anything but compromised. The Bluetooth presentation enjoys a clarity and sophistication that masks their wirelessness. One advantage of active speakers is that engineers can tune the various elements together to work in harmony – and it pays off here, as the frequencies are well integrated. Bass power and depth also belie physical proportions, and praise of the low-end can be extended to agility too. The drubbing drums introducing Anohni’s Crisis are full but controlled, bouncing along in step with the scything synths. The Xeo 2s precision and rhythmic agility is sustained as jubilant synth lines twist around one another and lace over the top of her vocals, which sound as cavernous and impassioned as the lyrical theme implies. Those expressive mids hold the centre of the soundstage with focus and solidity aplenty, and meet an articulate treble that's afforeded plenty of room to breathe. There’s a level of transparency to music that you’d be hard-pressed to find from a similarly-priced system of hi-fi separates. Tempo changes in the track play into the hands of the punctual, feisty Xeo speakers; they don’t stutter as a squall of dense electronics breaks out from starker, more meandering instrumentals. Timeliness and musicality both seem to come naturally to the Dynaudio Xeo 2s, and nothing feels like hard labour for them – even the demanding task of handling a lo-res Spotify stream with aplomb. Thanks to the Xeo 2’s forgiving nature, they still sound enjoyable compared with CD-quality WAVs, with space, detail and precision in decent supply. With Ray LaMontagne’s Part One – The Changing Man, they remain entertaining, tearing through the raucous electrics with weight and bite, keeping everything orderly. Sound quality compromised for the sake of convenience? Not here. Versatile, easy to house and packing a hugely accomplished sound worthy of their asking price, the Dynaudio Xeo 2s are a near-complete system in a speaker’s clothing – and a great one at that, whatever your source.